Breakfast is the most important meal of the day! That's why we have SO many of the most delicious and easy-to-make breakfast recipes you will ever make. 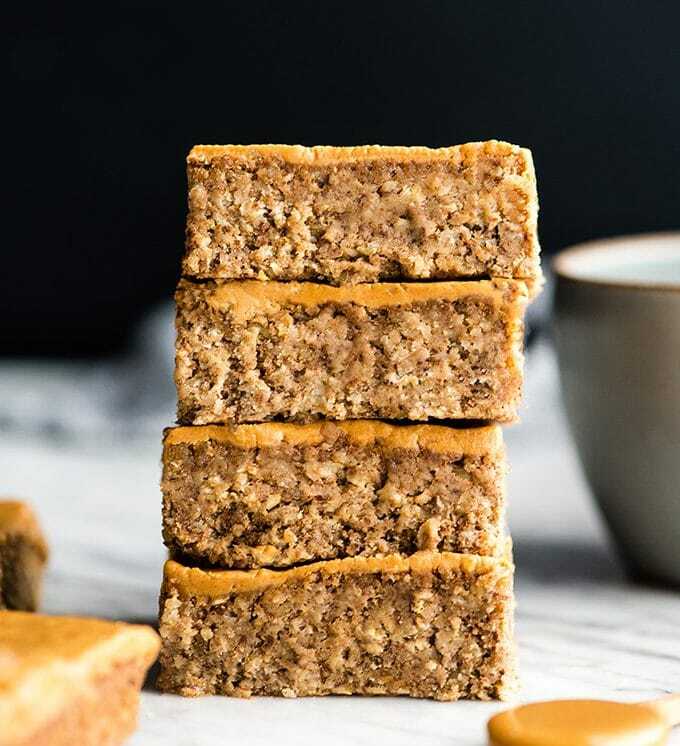 From Peanut Butter Breakfast Bars to this Dairy-Free Peanut Butter Chocolate Green Smoothie to this Gluten-Free Crustless Quiche! 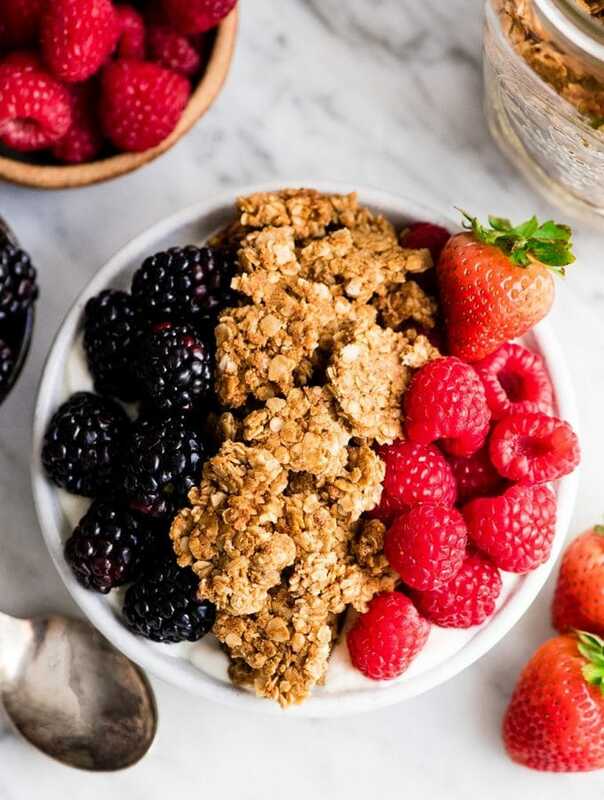 We have many breakfast recipes that are both delicious and healthy! 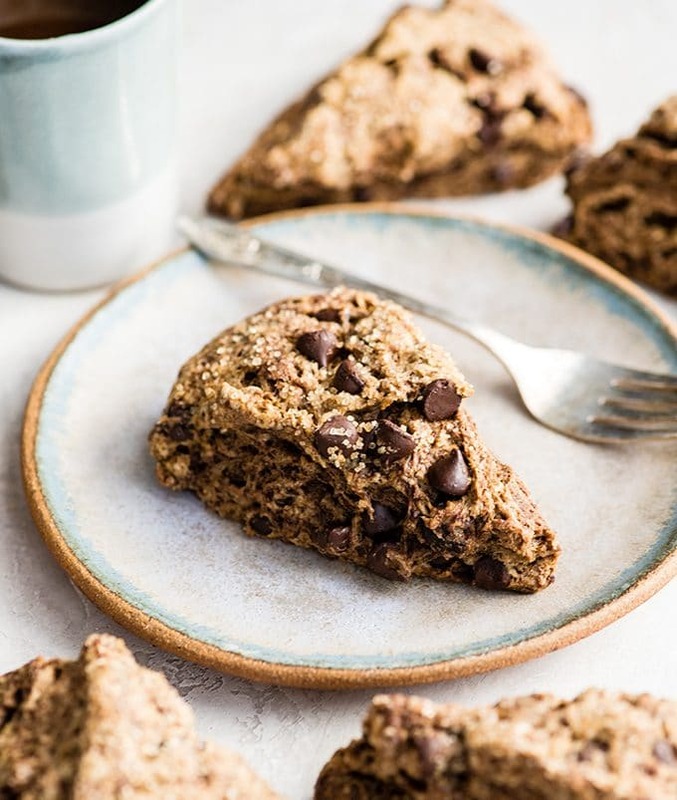 This Easy Mocha Chocolate Scones recipe is the best scones recipe ever! Enjoy these slightly sweet scones with a cup of coffee for a delicious breakfast or brunch treat! You can even make the dough ahead and bake it in the morning! 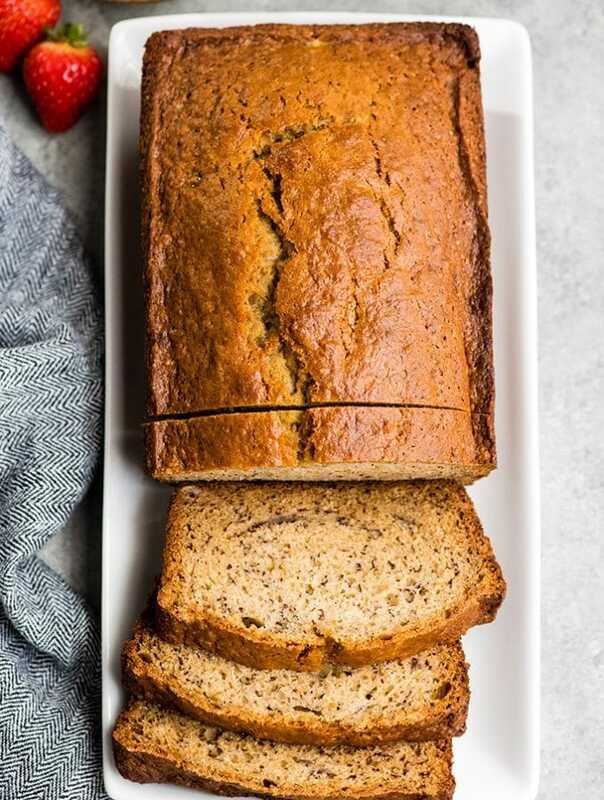 This is the BEST banana bread recipe ever! It is easy to make, super moist and bursting with banana flavor! It’s made in one bowl (no mixer required)! You can add walnuts or chocolate chips for delicious variations! A great recipe to use overripe bananas! 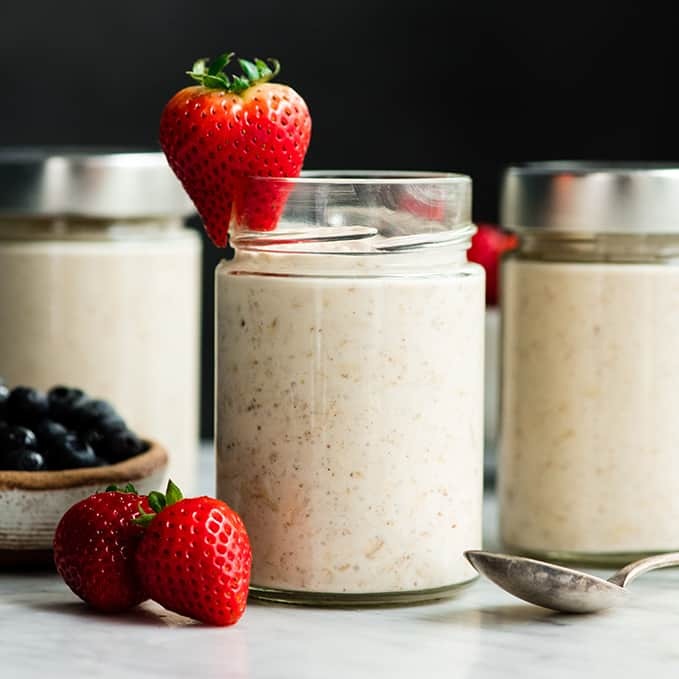 Easy Overnight Oats with Yogurt are a great healthy high-protein breakfast! 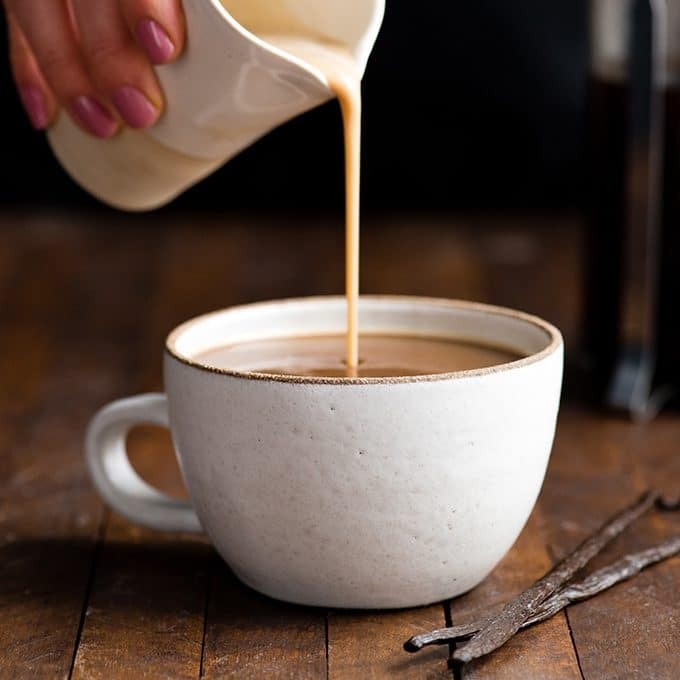 This recipe only takes 6 ingredients and 5 minutes to prepare! Plus it’s no-cook, gluten-free and can easily be made dairy-free! 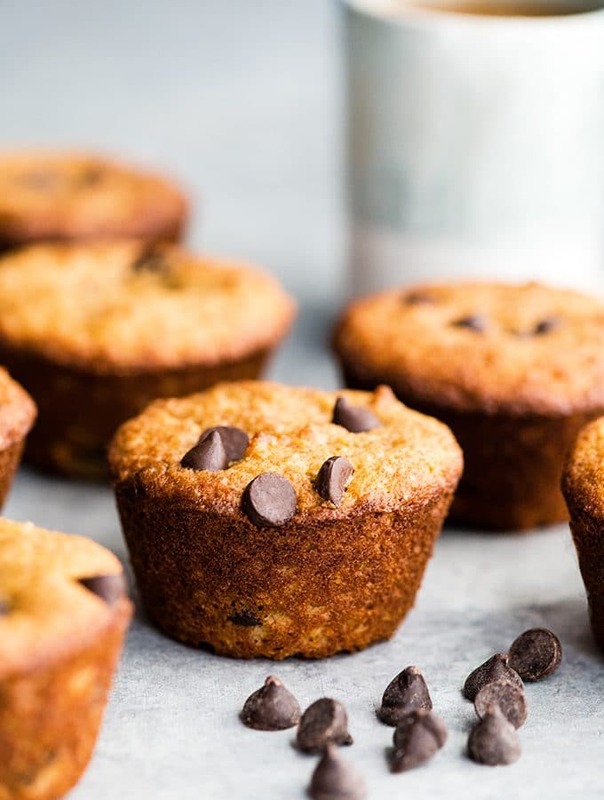 The BEST Healthy Chocolate Chip Muffins Recipe (Gluten-Free & Paleo)! These muffins are SO easy to make and taste SO good you’d never guess they’re healthy! 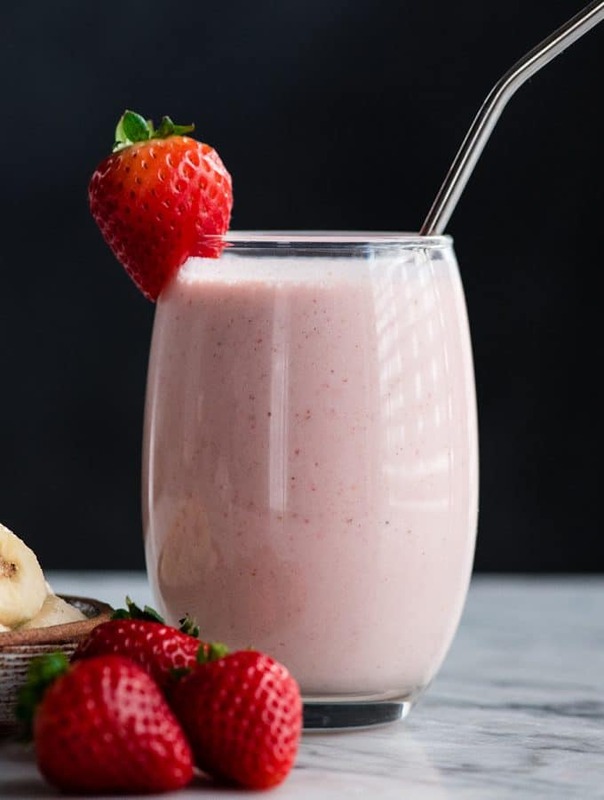 The BEST strawberry banana smoothie recipe ever! It’s easy (ready in less than 5 minutes), healthy, and made with yogurt so it’s full of protein! It’s the perfect snack or breakfast!